I’d been dreaming of visiting Paris for years and that was the whole problem with only visiting for half a day. I had too many ideas and not enough hours. 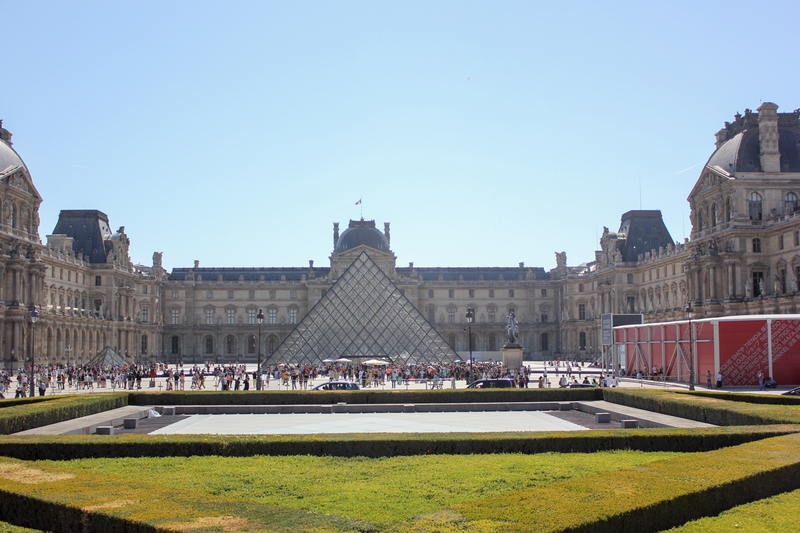 Although I really did enjoy my day in Paris during our road trip around France, it was by no means the perfect way to spend your first ever day in a new city. 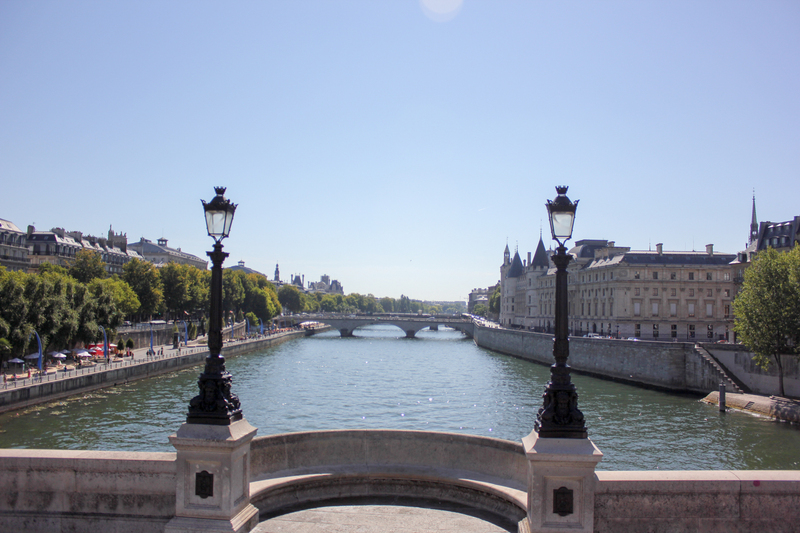 Here are a few things I’ve learnt in hindsight and what I would change about my day in Paris this past summer. I should have used the Big Bus as a hop on hop off service like you are suppose too. We were so intent on getting down to the Eiffel Tower for our cruise that we didn’t jump off the Big Bus at any point. Doing this was the quickest option but it certainly wasn’t the best option. 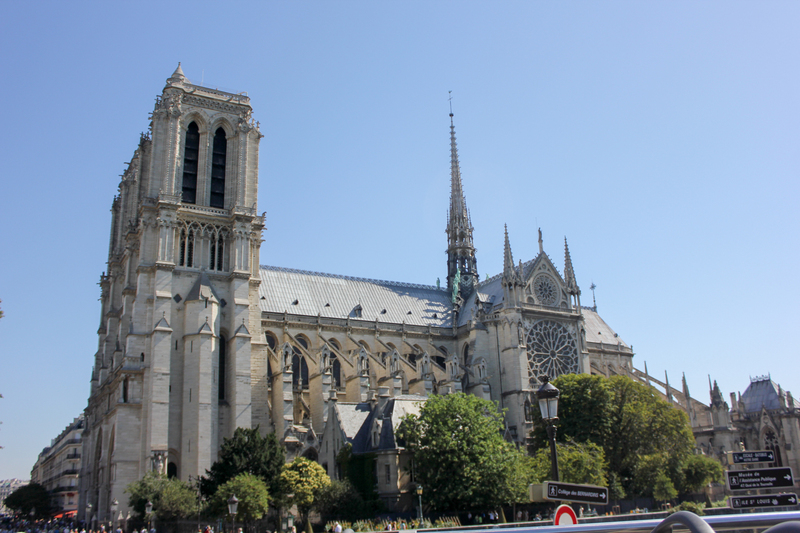 I would have loved to walk around the outside of the Notre Dame and got a little up close with this amazing piece of architecture. I was desperate for macaroons at Ladurée and if we had gotten off the bus on the Champs Elysee this would have been no problem. 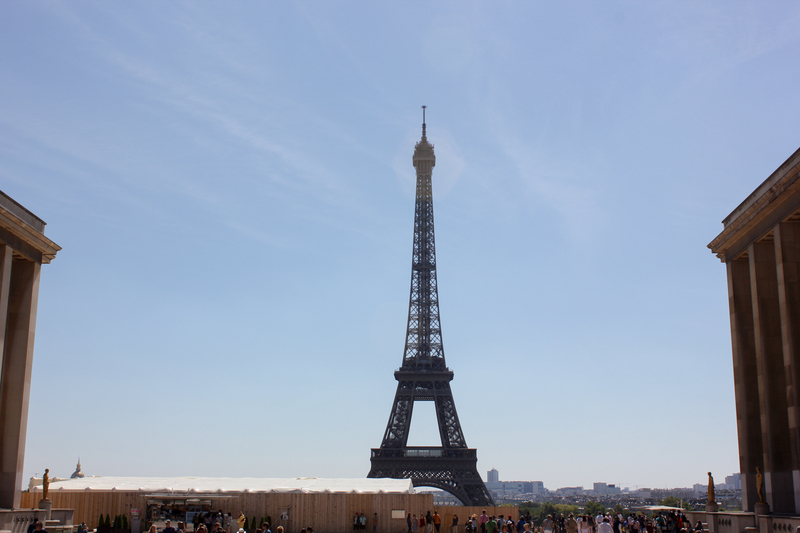 Oh, and lets not mention this iconic views of the Eiffel Tower at Trocaderio and Parc de Champ de Mars. All of this would have been possible if we had just jumped off the bus a little instead. I should have only booked one tour. Yes I enjoyed both the Big Bus and river cruise but it felt like too much seeing and not enough doing for one day. Taking the Batobus, which you could hop off and on would have been a much better use of the river. 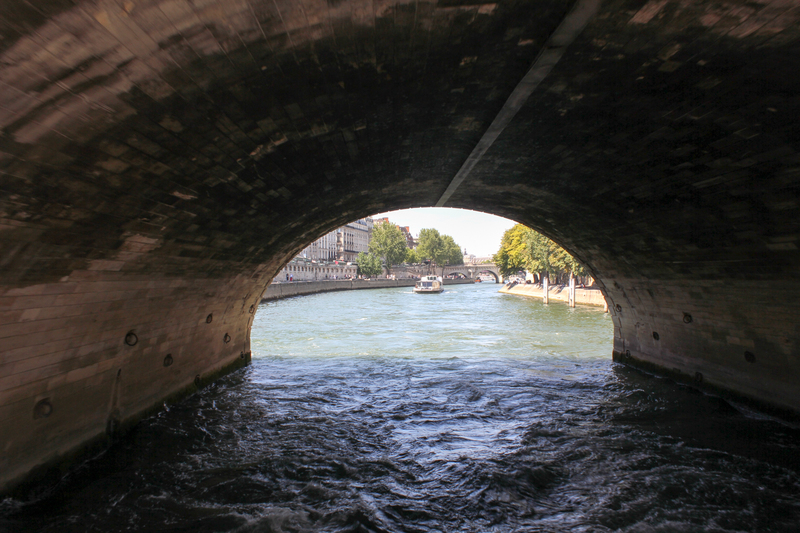 We had to start and finish at the Eiffel Tower but had we of been able to work our way down the river we’d have had a little more time for experiencing the beauty of Paris instead of looking at it. Also I should never have listened to the route times listed on the Big Bus website, everything always takes longer in the summer. I should have made ‘getting high’ a priority and booked something in advance. I’ve been obsessed with getting a different perspective on a city ever since I headed up the Willis Tower in Chicago. I’ve found it especially satisfying if you only have a short amount of time at your destination. The obvious choice for Paris would have been the Eiffel Tower. However, it was fully booked when I looked. I should have booked when we first said we were going to Paris, not several weeks later. Alternatively you can pop up many other tall spots in Paris including the Arc du Triumph which you can also book in advance. Why didn’t I? Well… the booking form looked complicated and I figured we could just get tickets on the day. I should have booked earlier and later trains from Reims. I thought we were being sensible only having the day in Paris. There would be no ridiculously early morning or late night, after all you could do that kind of trip from London. Sightseeing is tiring especially if you are on the go the whole time, which lets face it was the only thing to do with little time in Paris. However, when it came to leaving time all I wanted to do was stay into the evening. My energy was still brimming and after all it was summer and the sun was no where near setting. Those few extra hours could have allowed me to tick off those remaining things. I should have only researched things that were possible to do in one day. When you research France, you will find there is double the information for Paris than anywhere else. Needless to say I devoured more blogs about Paris than the rest of the trip put together. This was a complete novice move as there was no way I’d be able to do everything I had researched in one day. But of course I wanted to and then of course I was disappointed when I hadn’t completed even a quarter of my list. I should have been realistic with my research and only listed out the things which could be done in eight hours. I always forget that cities are big places, especially the likes of London, Barcelona, New York and Paris. No matter how much research you do, you will not make it fit into one day just because you are knowledgeable. If you only have one day to experience a city for the first time I would suggest concentrating on one small area and really getting a taste for the atmosphere, people, language and food. Instead of trying to tick as many tourist landmarks off your list. I mean, that does work but it will leave you feeling like you’ve seen a lot just not experienced much. Do you have any tips for experiencing a city in just one day? I had a pretty successful 24 hours in Iceland last year. It’s tough to learn these lessons, especially in such a special place. This happened to me in Seoul. We had a 22 hour layover on our way from New Zealand to Taiwan, and we botched it. We did not do enough practical research and left quite disappointed. You’ve hit the nail on the head there: practical research is exactly what is needed for such a short trip to a big city. I so enjoy hearing what people think they could have done better on their trip. Luckily, I haven’t had to bust out an itinerary in 8 hours yet. It sounds like there are bound to be some things you miss out on! I tend to not do those bus tours, but you’re totally right. If you actually hop on and hop off, it might be the quickest way to get to many of the things you’d like to see! I’d always been against bus tours but they certainly save so much walking when a city is as spread out as Paris! Hindsight is a wonderful thing and I’m sure no matter how prepared I was, I probably would have still missed something. Wow, how difficult only having one day in a city, any city would be difficult but a city like Paris would be a nightmare! Often people don’t like hop on hop off buses but they can be useful in short spaces of time – I used one in Barcelona and it was really useful! I totally agree about hop off hop on buses. We’d used the same company in NYC with a short time and our friends had in Barcelona so decided to give it a shot. I certainly allowed us to ‘see’ a lot, I just craved actually ‘experiencing’ something too. It’s frustrating when there’s so much to see and such little time and you end up under-estimating how tiring it’ll be to cover it all so quickly, we’ve all been there Jodie but the great thing about it is that in this case, it’s one of the nearest possible cities anywhere in the world so it’ll be pretty straightforward to put things right one day in the future! 🙂 Hope you enjoyed all the sights that you did manage to cover and experience and you can, of course, try Laduree macarons in London too! You are right about this being a city I can easily but things right in, Paris is so near and I am so excited to head back again!